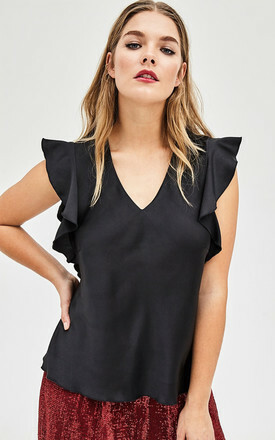 This luxe sleeveless top makes the perfect partner to pu leather skirts or trousers this winter. Christmas party? Ditch the dress for this stylish alternative. I'm Made Of: shell：97% Polyester, 3% Elastane.